"Physician great & good answer." "Dr Pannella is fabulous. Thorough and I never feel rushed." "Doctor Pannella always shows me courtesy and concern about my welfare." "I believe Dr. Pannella to be a kind and compassionate man who is interested in bothmy physical and emotionalwell being." "Dr. Pannella was very kind, caring and very thoughtful and courteous and very professional in his the evaluation of my concerns. " "Dr Pannella is a very good doctor listens to all your concerns"
"Exceptional in all of the above"
"excellent communication skills and caring"
"I can't say enough abort Dr. Panella. He is a terrific doctor. If all my doctors were as wonderful as he is I would love it." "Dr. Panella is the best! He is very caring and very easy to talk to." "Yes I would he is one of the nicest doctor I have been to." "Dr. Pannella has worked with me to make sure that my medications don't interact with my diabetes and that the cholesterol meds cause the least discomfort." "Dr. Pannella is a patient, understanding - never makes you feel you are asking dumb questions. Tells you and family members (who he has met) to call him anytime. I have confidence in him. During hospital stays he is there for you & family." "i see a lot of doctots, Dr Pannella is probably my favorite. He very caring, spends the time needed, addresses my concerns, and explains things well." "Dr. Pannella should give classes on how to treat ppl. He is the most amazing doctor & human being I've ever met. Funny, caring & so smart." "Dr. Pannella takes the time to thoroughly explain everything in easy to understand terms." "Dr. Pannella is very thorough. I am so glad that he is now my heart doctor. He makes me feel very comfortable and at ease." "Dr. Pannella is a very competent, caring physician." "I love Dr. G. Pannella." "Very good doctor. Seems well informed and has real concern for your well being." "I am well taken care of by Dr. Pannella. He has taken care of me since Oct. of 2017. I have told others about Dr. Pannella as a very caring person & easy to talk to." "I wish all doctors were concerned as Dr. Pannella." "Dr. Pannella is an excellent doctor and I am very pleased with him." "I have already suggested Dr. Pannella to a family member." "Dr. Pannella is ALWAYS professional, caring & compassionate. I am always confident in his care for me in regard to my cardiac condition -"
"He is very caring and listens, not a trait of many doctors." "dr. panella is the best dr. I ever had"
"Great bedside manner; easy to talk to; I am definitely recommending him to my family & friends!" "Dr. Pannella is always thorough & understanding have recommended him to many." "have recommended 2 of my friends to my doctor"
"I have many allergies & Dr. Pannella gradually increased my meds so the reaction would not harm me." "Dr. Pannella is an outstanding physician. Would recommend him highly." "Dr. Pannella goes above and beyond - he's beyond AMAZING!" "Dr. Panella was amazing and real easy to talk to. He personally called me with test results 2 days after my appointment, that's going above and beyond." "He's a fine doctor and gentleman. " "He is an excellent doctor. Dr. Pannella took a good care of his patients." "Best doctor I have EVER had! He is the best!" "I am thrilled with the care that Dr. Pannella gives. He works with me to make sure that all my medications work together with the least amount of side effects." "Dr. Panella is the best doctor I've ever had. He is knowledgeable and informative." "Dr. Pannella is great. I would be happy to recommend him to anyone with cardio problems. " "very courteous and professional. would definitely recommend"
"Dr. Pannella is a great physician. He is very caring and answers all questions we have." "He has the best bedside manner, speaks with great knowledge and I am so glad I chose him. My daughter also sees him." "went in on time and left on time fully explained everything"
"Pleasure to have him treat me like family." "Dr. Pannella was friendly, thorough and professional in our first visit. I look forward to being his patient." "Dr. Pannella is a cardiologist and the best doctor I ever had." "I love Dr. Pannella he has been wonderful to me and my family ( I now bring my MOm there to him as a patient after moving back to NY and suffering a stroke 2016 ) I always feel that not only is he my dr. but has been a good friend to me and have discussed many things with him ..I value his opinion !" "Relaxed atmosphere; never felt rushed." "Quite professional, very crisp and clear thinking and response to my questions." "Dr. Pannella always makes me feel comfortable, never rushed, always take time to explain things, shows concern & always calls you back." "Dr. Pannella is an outstanding doctor! and has excellent bed-side manner!" "The care at this office is excellent." "Dr. Pannella is a very caring person - he listens to you and provides his opinion with extreme concern. He recommend cardiac cath which was scheduled within a few days of my office visit. #1. Dr. Pannella." "Dr Pannella has helped me to be a healthy person once again. I trust him completely"
"He is wonderful you're not just a heart to him. He cares about the patient." 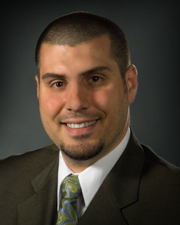 "Dr. Pannella is very good at explaining things and has a fantastic bedside manner." "In my 88 years, never had a better doctor. My honest opinion, made a friend." "the day I was admitted the doctor that first saw me called in two doctors that were pertinent to my situation to completely explain to me my situation in terms I could understand. I knew after that I was in good hands." "Dr. Pannella is the best !" "Dr.Pannella is my cardiologist and I have complete faith in him. My primary dr. usually recommends a different Doctor (my husband and I have different insurance) and my husband goes to a different cardiologist. I have no plans on changing my dr once I am on Medicare as I am beyond happy with the care I am receiving." "Learned a lot about my condition." "Very good - Very happy." "I love this doctor :)"
"Dr. Pannella is a thorough, caring physician in whom I have total confidence." "Dr. Pannella is a caring & concerned physician - easy to question and talk to. Met him when he took care of my late husband in the ER at Plainview Hospital. Immediately switched form dr. at St. Francis that we saw since 1995." "I had an excellent experience. He is caring - shows sincere concern for patients." "Dr. Pannella is the BEST and most thorough CARING doctor! There isn't anyone better." "No words to express excellence of this MD/staff." "Very happy always with doctor." "Caring, easy to talk to." "They live on S. Shore and practice is quite some distance to drive - that's the only obstacle - Pannella is great!" "I appreciate this provider. He is respectful and listens to me. He speaks politely and lays out options and next steps(tests, procedures, etc.). He explains things - truthfully." "Very happy with Dr. Pannella - he listens carefully and provides assistant." "Dr. Pannella is wonderful!!! #1. Dr. Pannella, MD."